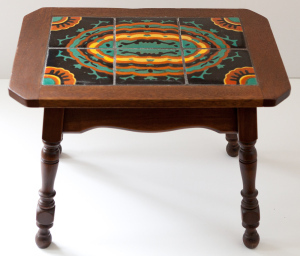 This table and the next one are both created by Taylor Tilery (1930 - 1941). 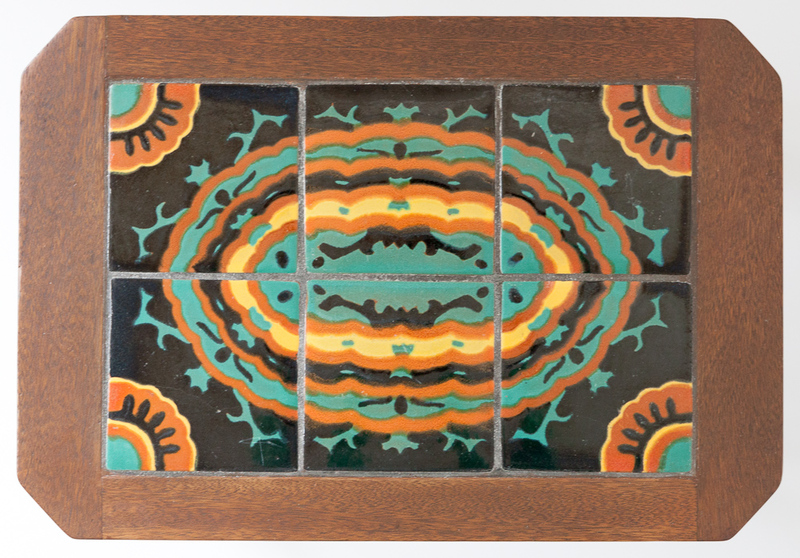 Four corner and two stretcher tiles in Spanish design create a nice oval image, the ring of fire. 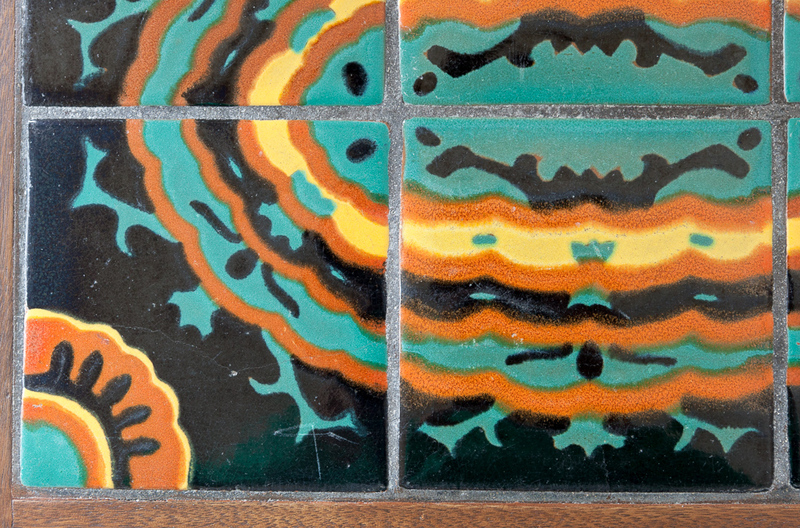 The corner tile with different glazes appears on page 161 of the California Tile, The Golden Era 1910-1940 (vol. 2). 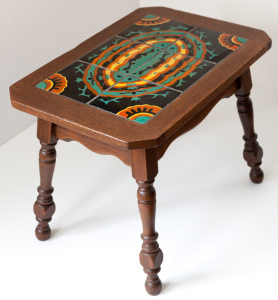 In the Taylor catalog the designs are marked as #147 Corner and #147 Stretcher. 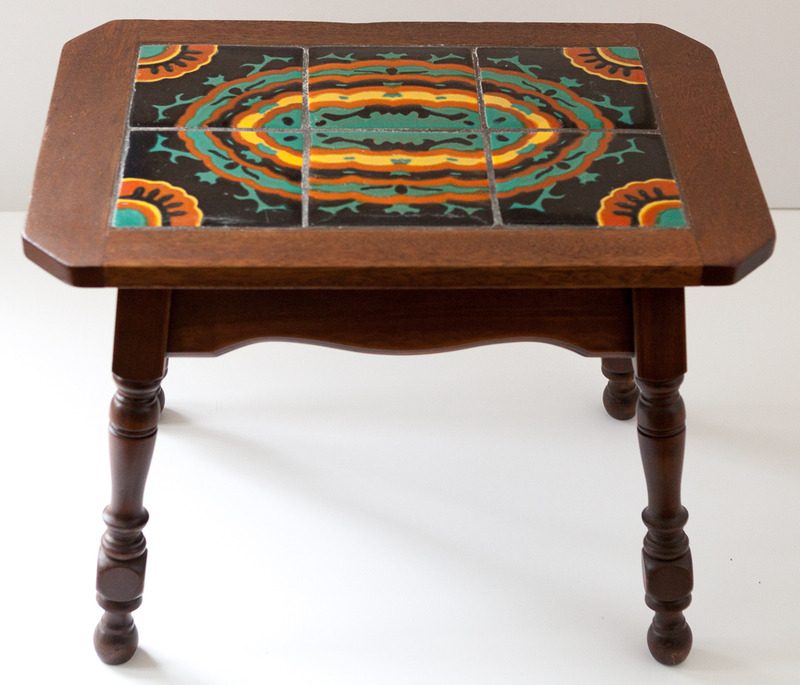 The tiles are set in a fairly simple mahogany frame. The wood is in excellent condition, while the tiles have very tight surface hairlines that, I suspect, don't go all the way through.